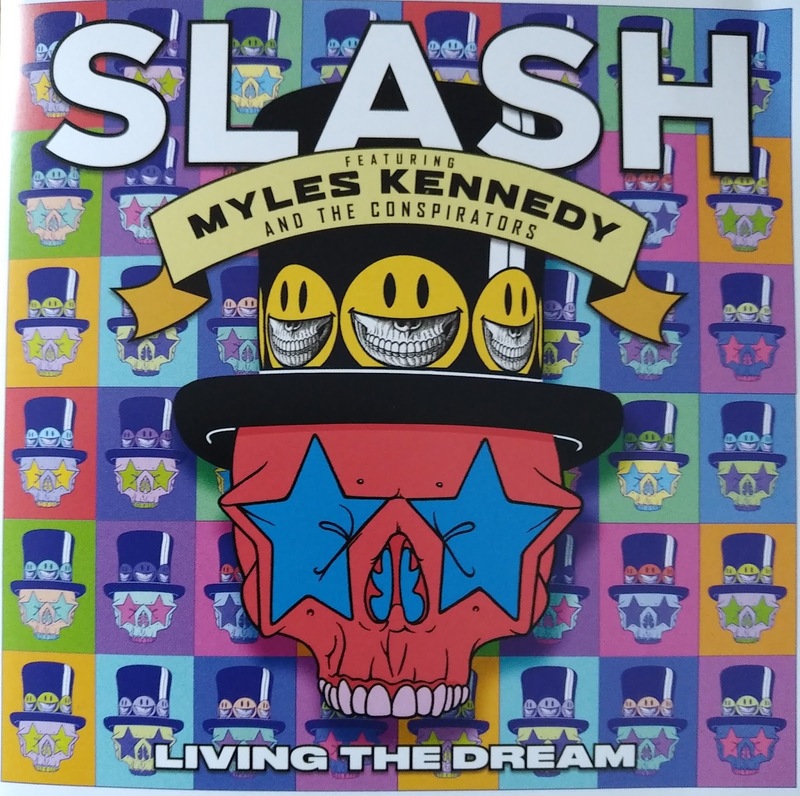 The second release in short order to feature the vocal talents of Myles Kennedy after Alter Bridge's "Live At The Royal Albert Hall", (review here ), and the fourth 'solo' studio album by Slash. Right from start, as the sinuous opening riff fades in, this album rocks hard and keeps going. Brent Fitz's drumming crackles with energy, the production is impressive and muscular throughout, sounding like a modern classic rock record. Unsurprising given the artist, but kudos to producer Michael "Elvis" Baskette nonetheless. The twisting riffage of "Call Of The Wild" gives way to the chugging groove of "Serve You Right" before "My Antidote" continues the hard rocking goodness. Mid album highlights are "Lost Inside The Girl" and "The One You Loved Is Gone". These two really show off the full range of Myles Kennedy's vocal talent. I mentioned in my review of the latest Alter Bridge release that too many of the songs there are sung at full pelt, and that his voice should be given space to breath. This album does that, and I genuinely think that this material serves him better. Lead single "Driving Rain" kicks off the final third of the album before the "Parisienne Walkways" feel of "The Great Pretender" gives way to more classic rock in the finale, "Boulevard Of Broken Hearts". On the, (small), downside some riffs and lines are a little familiar. In particular the wah lead work to kick off the solo on "Lost Inside The Girl" echoes the "You Could Be Mine" intro too closely. Similarly the lead guitar outro riff calls back to "Sweet Child Of Mine". The introductory riff of "Driving Rain" references The Eagles "Life In The Fast Lane" to these ears. Minor quibbles though, and this album goes straight into the list of my favourites of the year. 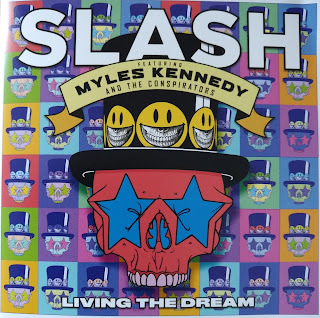 It rocks ridiculously hard, the performances are great, Slash melts faces aplenty, and the change of pace songs are real highlights. Had it been released as the new Guns n' Roses album it would hailed as a stunning return to form. As it is, Axl Rose's loss is our gain. I highly recommend this album. Let me know if you agree.